As a Pilot, How Do I Setup My Doobert Account? I’d like to volunteer with Doobert.com as a volunteer pilot but I don’t know what my responsibilities are? Do I just show up and pick up the dog or is there more I need to know? I’d love to tell you there is nothing much for you to worry about, but that would not be accurate. As volunteer pilots our travels usually take us across state lines with animals we fly. That alone can trip us up with state regulations and land you in big trouble with state animal control, or local wardens. The reality is most volunteer pilots have flown many uneventful flights but when things go wrong, they go very wrong. Some people say, “No good deed goes unpunished” and that can be true sometimes. Some pilots I know have even found themselves stuck in the middle of some complicated legal problems between the sender and receiver. They’ve faced lawsuits or law enforcement issues. 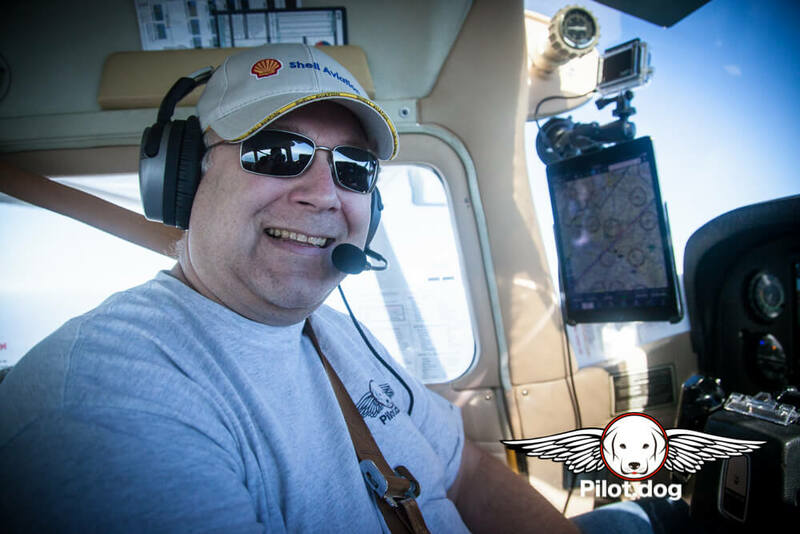 Not that long ago I wrote a longer post on lessons learned from experienced dog rescue pilots. Click here. Think of your animal rescue flights just like you think of your flying. Typically the flights are perfectly uneventful but when things don’t go as expected in the cockpit, we need to be prepared. Flying animals is full of a lot of gray information. Some of us have been told we need to be registered in this state or that. Some of us have been told by the same agencies that we don’t. The key though would be for you to become familiar with what the transport regulations are for the states you will be flying into. If you want to be really prepared, and you think you’ll be doing more than a couple flights, contact those states and ask specific questions about what they might require to register for. When they come back and say no license or registration is required, keep that correspondence in a safe place. You may need to pull that out in the future. My pilot friends and I who fly animals, seem to all belong to the AOPA Pilot Protection PLUS Legal plan to have someone we can call for advice if we run into a problem. If you fly a lot of animals across state lines at some point in the future you may run into some confrontation. For a listing of state regulations, click here. And let’s not forget all of the other agencies we have to be compliant with like the FAA or IRS if we want to claim the flight as a charitable deduction. And the regulations that will cover your flight may also dictate how the animals must be carried. Some may require specific types of crates, etc. One issue you will face in nearly all the states is going to be the Certificate of Veterinary Inspection (CVI). If you accept a dog to fly and you do not have a valid CVI for each animal, you are taking a big risk. If you are approached when you land and an official asks to see the paperwork on the animals you are bringing into the state, and you don’t have a CVI, you can be significantly fined, as some have been, and you can risk other substantial risks. My advice is to not accept any animal on your plane that does not have a completed CVI. So what is this CVI or “health certificate” supposed to have on it? Good question. Just because a rescue group says they are handing you a health certificate, that does not mean it is a valid CVI. 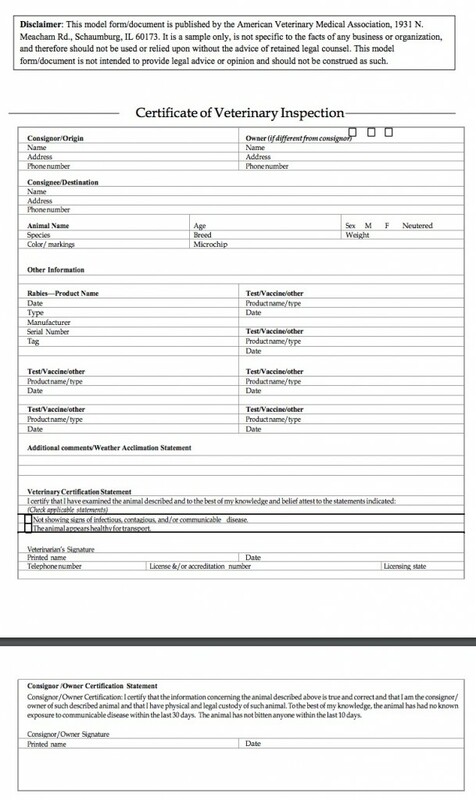 Here is a sample CVI but states may require their own format or approved form. So the next time you are planning for a flight and checking the weather, or filing a flight plan, be sure to also make sure you know what paperwork you are going to need on the animals before you takeoff into a potential mess when you land. Keep in mind that neither Doobert nor any transportation request board or site can or will be responsible for what happens when things go bad over a paperwork issue or accidentally broken law. As the PIC of our aircraft we are also the PIC of the transport once the animal has been handed to us. As volunteer transporters, all the responsibility and liability rests with us. If you have an aviation question you’d like to ask, just click here.